Ask Carol Gering about her greatest successes as executive director of e-learning and distance education at the University of Alaska Fairbanks and she’ll rattle off a half-dozen stories about students in seconds. Among them, a woman from Jordan who wants to open a fashion business in the Middle East and is taking UAF online classes from across the globe. The hockey player recruited by the NHL who finished his degree online after his rookie season. The veteran who is pursuing a bachelor’s degree in emergency management while working full time on a seasonal wildfire crew. Gering will start her new job Oct. 29. She was selected by UO Provost and Senior Vice President Jayanth Banavar to lead Oregon’s efforts at establishing a solid platform for online education. Gering’s position came about as part of a plan by the Office of the Provost to develop a universitywide strategy for online and distance education. The plan was presented to the UO Board of Trustees last December, and the search to fill the associate vice provost job began last spring. Historically, the UO has lagged behind other universities and colleges in online education offerings. 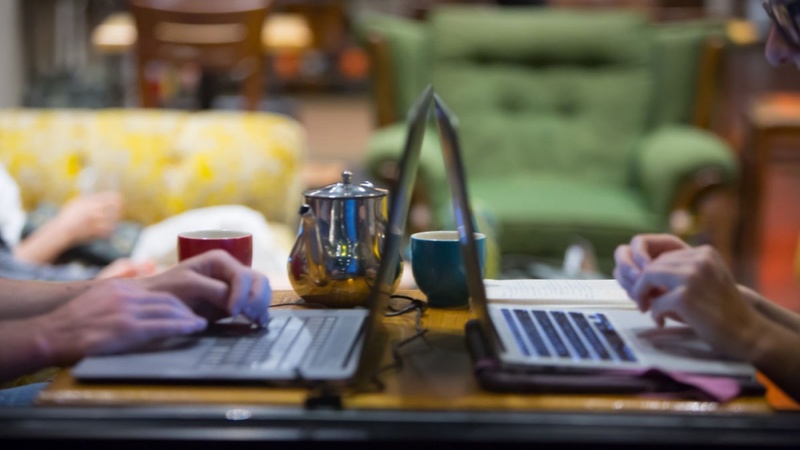 Although UO students have shown increasing interest in taking online courses, no cohesive strategy has been developed nor has there been a system in place that would allow students to earn degrees online. One of Gering’s first moves will be to conduct an inventory and a baseline assessment of the current system. Scott Pratt, the executive vice provost for academic affairs who oversaw the search for the new position, said Gering fills the need and will help position the university for success. With the advent of the internet in the 1990s, online education really took off and led to diverse approaches to quality, teaching and cost. Today, online degrees are common and 1 in 4 college students take at least one online course as part of their degree programs. Gering wants to partner with faculty members to build a robust program of online classes that allows students to gain degrees, provides access to people who can’t come to Eugene or Portland, and establishes UO as a leader in providing online education that responds to the needs of students and the region. Working hard is nothing new to Gering. It’s in her DNA. She was born and raised in the small town of Cleo Springs, Oklahoma, the youngest of four children. Her parents grew up in the Great Depression and had to scrape to help their families make ends meet. Gering said her father didn’t attend high school because he had to work to help his family. Her mother moved to a nearby town and was a boarder so she could be closer to the local high school. Neither went to college. Her oldest brother was already in college when she was born and he became a role model around education. Gering remembers studying hard and concentrating on her homework, which earned her admission into Southern Nazarene University. After college, she and her husband, a pastor, moved to Colorado, where they spent eight years and started a family. The family moved to Alaska and Gering landed a job typing manuscripts and editing proposals for faculty members at UAF. Later, she took a job in the university’s distance education program, where faculty members and students exchanged paper-based lessons and feedback through postal mail, email or fax. She said what started as experiment grew rapidly. 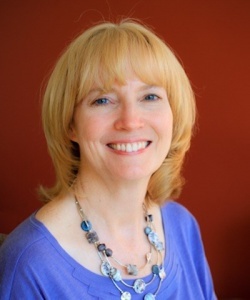 Gering worked her way up to a position on the online education team doing instructional design and later became the program’s associate director. The momentum of the program continued. Gering was appointed interim executive director of e-learning and distance education and she reported directly to the University of Alaska chancellor. Within a year, she was named executive director. Among her successes at UAF was a shift from one-off courses to a fully developed online initiative focused on strategic growth and thoughtful enrollment management. UAF now grants online certificates and degrees, both undergraduate and graduate level, in a range of subjects. At the UO, Gering will look for ways to strengthen the infrastructure for online and distance education, including developing a new business model, coordinating decision-making with academic leadership and creating collaborations with Information Services and UO Libraries. She will also spearhead efforts at creating partnerships with Student Services and Enrollment Management to help online students have access to services. She said her first priority is to understand the UO culture. She also plans to look at the inventory of courses offered online, along with the data around what students are taking and why.